No doubt the handmade colorful iPhone and iPod dock is the pretties we have ever seen so far. The purple iPhone and iPod dock is designed and built by Frank Luedtke, a gadgets maker in Arizona. 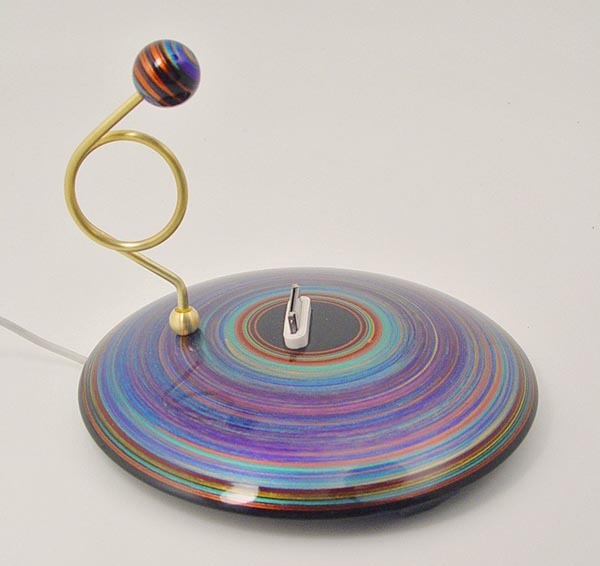 From the tags listed on the product page, the dock is made out of MDF and brass. 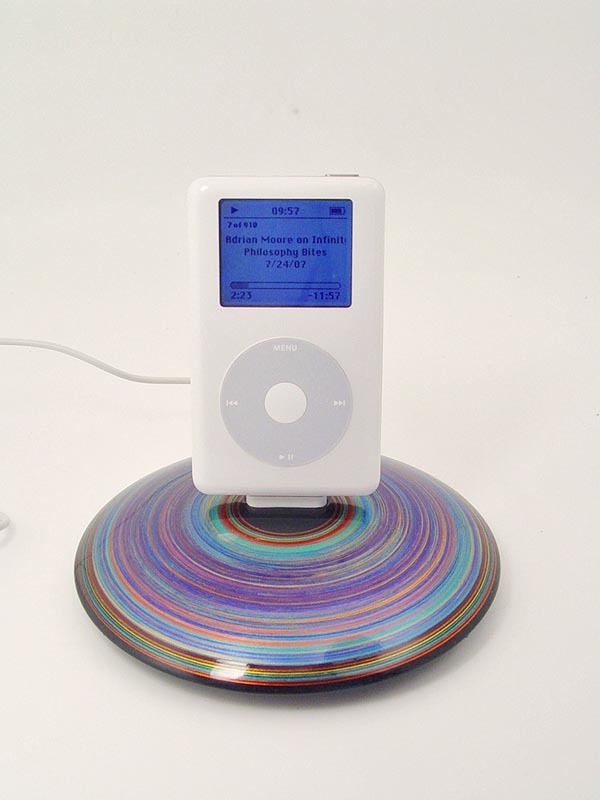 The creator has given the iPod an outstanding paint job that makes it like a circular UFO with a high velocity. 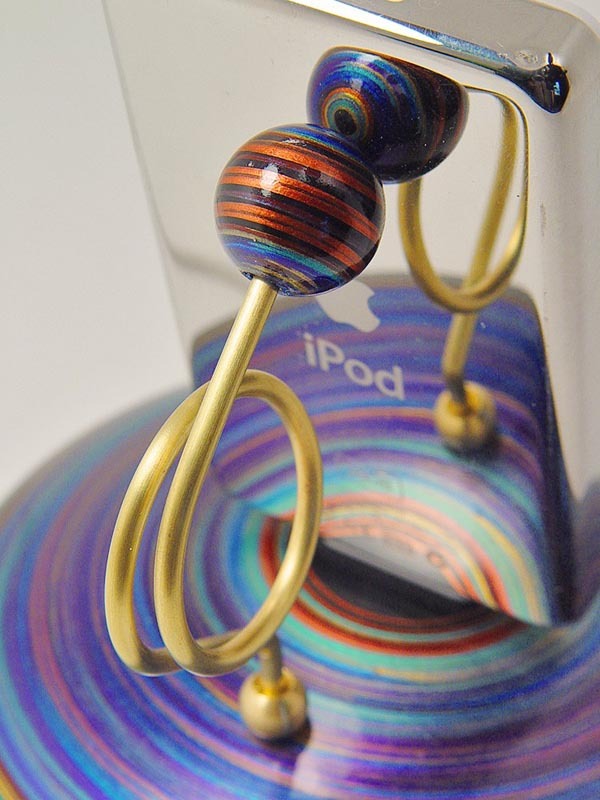 Apart from that, the attached wooden ball with an exquisite design can make your iPod or iPhone stand more steadily. 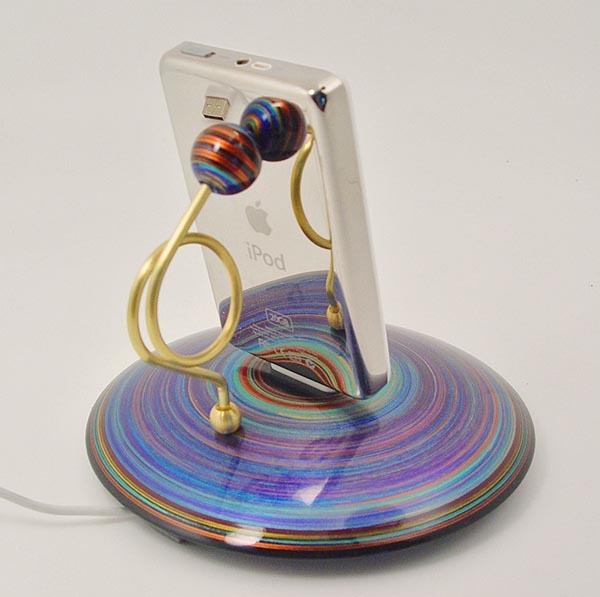 The handmade colorful iPhone and iPod dock is priced at $68 USD. If you’re interested, jump to Etsy for more details. Additionally if you’re a fan of video games, you might like to check the Nintendo controller iPhone dock.